The defending champions have seven wins from eight games and have just about sealed their playoff berth. Imran Tahir and Suresh Raina put in fine performances to help Chennai Super Kings earn a five-wicket victory over Kolkata Knight Riders in the Indian Premier League on Sunday. After Tahir’s career-best 4/27 restricted KKR to 161/8, CSK coasted to the target in 19.4 overs as Raina anchored the chase with an unbeaten 58 off 42 balls with seven fours and a six. This was the defending champions fourth win on the trot as they consolidated their position atop the table with 14 points and one more win will virtually seal their spot in the playoffs whose cutoff over the ears has been 16 points. This was also their first win at the Eden Gardens since 2013 as they did a double on KKR who have now suffered a hat-trick of defeats for the first time since 2014. They are set to slip out of their second place in the table. Incidentally, 161 is their lowest score at the Eden this season. KKR next face Royal Challengers Bangalore at home on April 19. Sunil Narine was the pick of KKR bowling with figures 2/19 that included a wicket-maiden when he cleaned up Faf du Plessis  to end the powerplay. However, Raina held on at the other end with two significant partnerships, including a 40-run stand with skipper MS Dhoni. It all seemed a walk in the park for CSK before Narine provided a breakthrough by dismissing Dhoni for 16 with CSK’s score at 121/5, needing 41 runs from 26 balls. But Raina held his nerves while Jadeja gave the finishing touches. On an Eden Gardens track where spinners had struggled, Tahir spun the match in favour of Chennai with his twin double blows in the 11th and 15th overs en route his career-best IPL figures that took him past Kagiso Rabada in the leading wicket-takers’ tally. Tahir removed an ominous-looking Chris Lynn [82 off 51 balls; 7x4, 6x6] and in a space of four balls removed the dangerous Andre Russell  for the first time under a score of 40 this season. Tahir’s bowling had such a devastating effect that KKR managed just 28 runs from last five overs and went on to lose three more wickets to end up with a well below par total. However, it was a different script for KKR early on with a fit-again Lynn giving them a flying start en route his second fifty this season that came off just 36 balls. 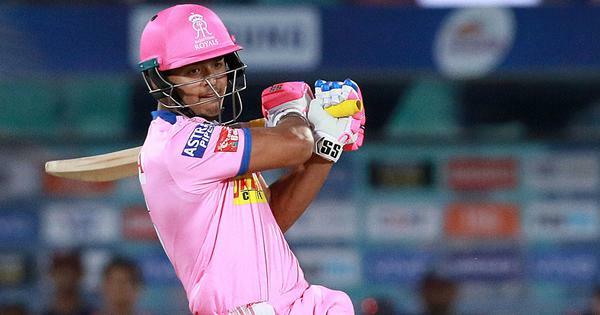 Having missed his team’s last match because of flu, Lynn went all-out against Deepak Chahar, who conceded 22 runs from his first two overs with the Aussie smashing the seamer for 4, 6, 4 in the third over. Such was Lynn’s dominance that the otherwise explosive Sunil Narine looked like a spectator at the other end. A 200-plus total looked imminent with Lynn looking dangerous and Russell starting to explode with a boundary and a six off Tahir. But Tahir, aided by some brilliant catching from Faf du Plessis and the substitute Dhruv Shorey, made inroads by removing Nitish Rana  and Robin Uthappa in a space of two balls. CSK’s catching was exceptional with Du Plessis charging in from long-off to dismiss Uthappa, then Shradul Thakur at deep square leg clung onto a flat hit from Lynn. The big one was that of Shorey when he charged in for a swerving low catch to get rid of Russell, who looked in his usual explosive zone with 10 runs from 4 balls [1x4, 1x6].